A big thanks to Guillaume Fleury for getting these first real pictures of the Turbo Optima 2019! This article has been embargoed until the morning, January 30th (European time). 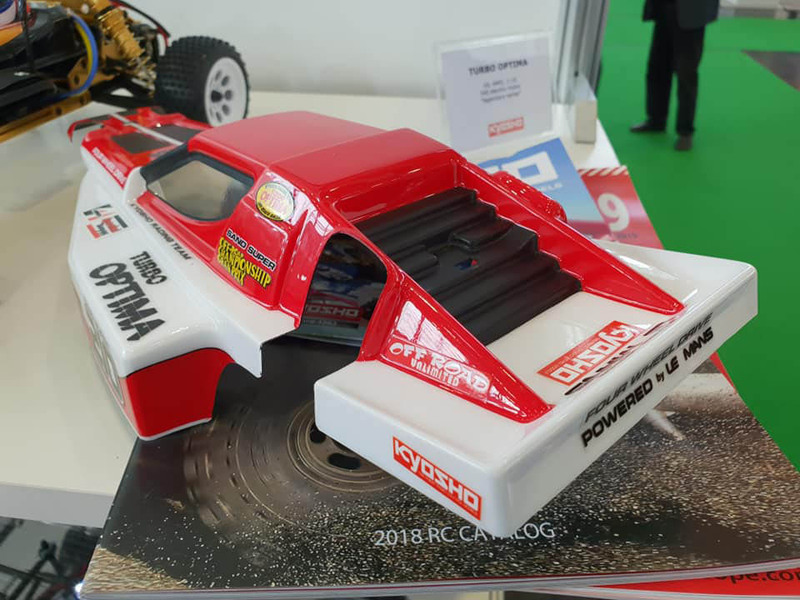 Today Kyosho will present the rerelease of their 1986 classic, the great Turbo Optima, at the Nürnberg toy fair in Germany. Originally released in July 1986, the Turbo Optima was the third model in the Optima series, after the Optima and the Javelin, and differed from the two previous models in having larger 1.9″ wheels and tires. It also came with a limited slipper clutch to ease the impact of the included and powerful (except from in the US) Le Mans 240S motor. The tiny shocks from the Optima had to make way for what might just be the best of vintage shocks ever made, the mighty Option House Gold Shocks. A metal under guard protected the lower chain guard and the rest of the internals, and made for a smoother underside, as it also doubled as a skid plate. The anti sway bars (both front and rear) added to the impression that this was a full blown racer. The body was more aggressive than the original Optima body, and a little bit wider to make room for 8.4v batteries. In my opinion it’s probably the best looking body that Akira Kogawa designed. After having previously owned a few Tamiyas, the Turbo Optima was my first experience with a Kyosho, and I have never looked back. I’m sorry Tamiya, but toys they were. This was not! I later upgraded it with the belt conversion kit from Kyosho’s Option House, while waiting for the Optima Mid to be released. 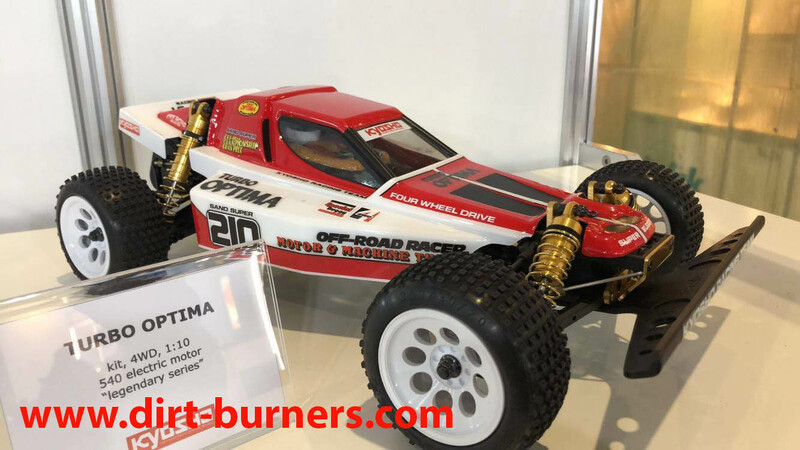 Now, after a year’s delay, Kyosho have announced their 2019 version of this special racing buggy, based on the re-released Optima from 2016. 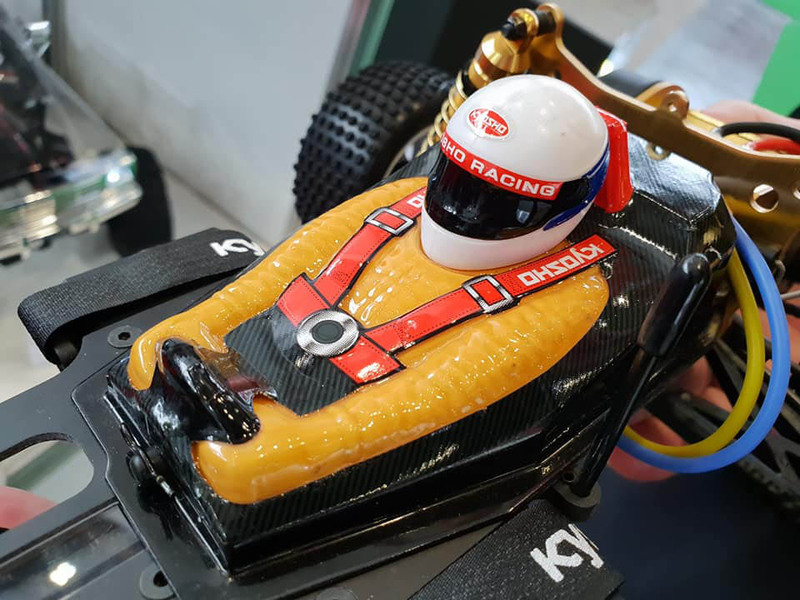 Initially planned for release at this time last year, the turmoil inside Kyosho put everything on hold, but now they’re back with a vengeance, and should start shipping by April. The 2019 version comes with 2.2″ wheels in the same style as the 1.9″ wheels of the original. The tires are modern style and completely different from the classic OT-66 tires, something I’m sure will disappoint quite a few, but according to Akira Kogawa, this is the thread pattern that is most versatile for different surfaces. Hopefully Kyosho will release 1.9″ wheels and tires as optional parts (come on Kyosho, that’s what everyone wants). EDIT: The wheels and tires are the same size as the original Turbo Optima, and will be sold in white, black, fluorescent yellow and satin chrome! The shocks are gold versions of something that resembles the triple-cap velvet shocks and includes threaded bodies for easy adjustment. I think that is a wise decision, as great replicas of the original gold shocks are already out there, made by third parties, if those are what you desire. EDIT: The shock internals are based on the red rerelease shocks for the Optima 2016. I believe many feel a bit let down by the tires and shocks not being more faithful to the originals, but these are performance decisions made by Kyosho and Akira Kogawa, just like with the infamous wing mount for the Javelin. Kyosho makes race cars, not toys, and this car was designed to win vintage races, so sentimental looks had to go for performance! I think they made some good compromises. There is also a big surprise that I’m sure many will enjoy, and that is the Turbo Optima 2016 will come with gold chassis parts! EDIT: The gold chassis parts will also be sold both individually and as a complete gold chassis kit. That’s like a rerelease of the celebration chassis kit! EDIT: There is no motor supplied with the kit, to keep the price down, and it will come with belt drive only. Chain drive could of course be bought as an option. The Turbo Optima 2019 is further from the original than the Optima 2016 was, just like we saw with the Turbo Scorpion 2016. But actually the Turbo Optima 2019 is to the Optima 2016, what the original Turbo Optima was to the original Optima, an enhancement of the original design, and modified for pure racing. Just never forget that Kyosho makes race cars, not toys! I would certainly buy a couple of kits, and so should you if you want Kyosho to continue rereleasing their classics. If this one doesn’t sell well, the “Legendary Series” will come to an end. You will be able to study the car closer at the Nürnberg fair this weekend. Akira Kogawa, the designer of both the original and the rerelease, will not attend the show, but has plans to attend the Shizuoka show in Japan in May, where you will be able to have a chat with him. Naked, showing more of the gold chassis parts. The gold anodizing definitely has a fuller golden shade than the original vintage parts, thus giving it more of a “Duratrax” look than “Option House”. 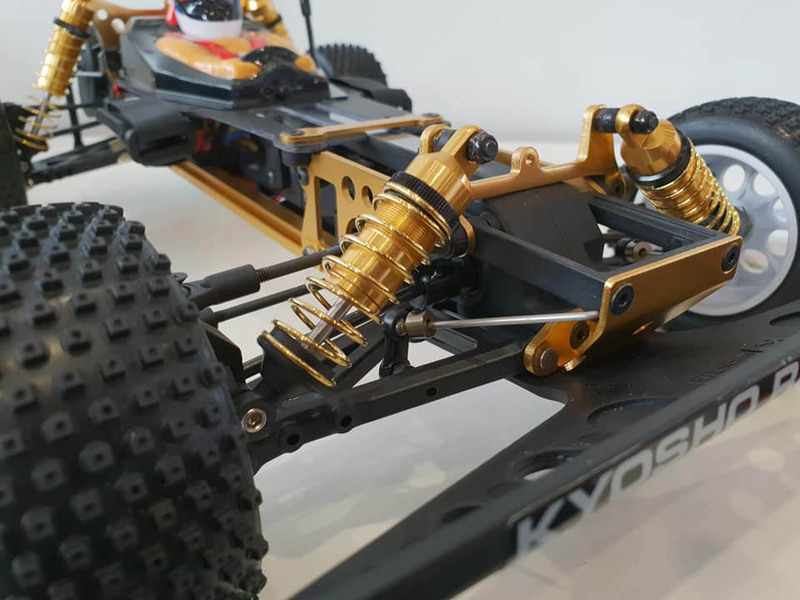 The shocks looks a bit like the very good, and super smooth, Kyosho velvet shocks, but the top caps have been made to look more like the original gold shocks. It would surprise me if the internals aren’t identical to the velvets. The Turbo 2019 also comes with both front and rear stabilizers, just like the original. EDIT: The internals of the shocks are actually based on the red shocks from the Optima 2016. The original Turbo had black springs for the shocks, but the 2019 seems to come with gold springs. I probably would have preferred blacks, though. There is also an aluminum under guard, just like on the vintage Turbo, but this new one is gold anodized. Just like on the Optima 2016, the Turbo 2019 parts come countersunk for flat head screws. Luckily they decided to keep the screws black, at least. There can be too much bling, even on an Optima. Just like on the other Kyosho rereleases, the lexan driver doll comes with a hard plastic head. The mold for the Turbo body had to be made from scratch, as the old one was no longer available. Some of the original sponsor decals have been changed, but designed to maintain the basic looks of the originals. Yes, that was a nice surprise! Great article as always Tom, and thanks for the credit! Can’t remember the last time I got so excited with a rere. Given how long we waited and how uncertain this rere was, we should consider ourselves lucky. I agree! Even if I would have liked it to be more faithful to the original, I just love this! I just hope it blows Kyosho away in the sales department….. Very soon, I would suppose. Should hit the shelves by April. a legendary (!) design even better. And i like that Kyosho make these cars more userfriendly with these gentle refinements. Yes, and I really love that he has listened to us users and decided to make the wheels the same size as the vintage, instead of going larger, like on the Turbo Scorpion. I’m not 100% sure, but I have heard several rumors that the Turbo Scorpion sales were disappointing. The new tyres are called NOT-66. 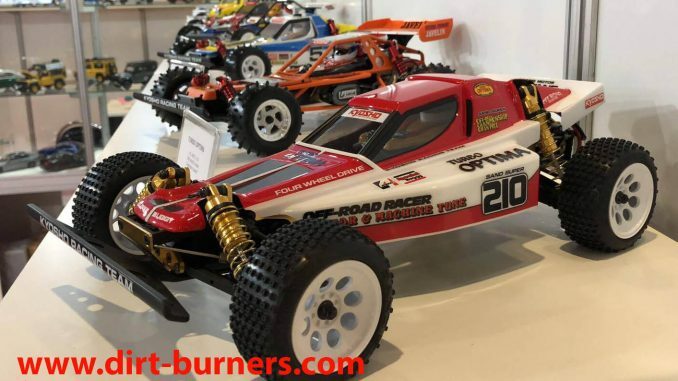 You can buy the OT-66 repros from Marwan RC. They will fit the wheels, and looks just like the originals. 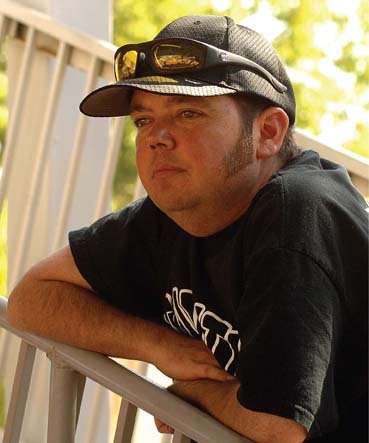 Thanks Tom for all your great info on this new re-release! 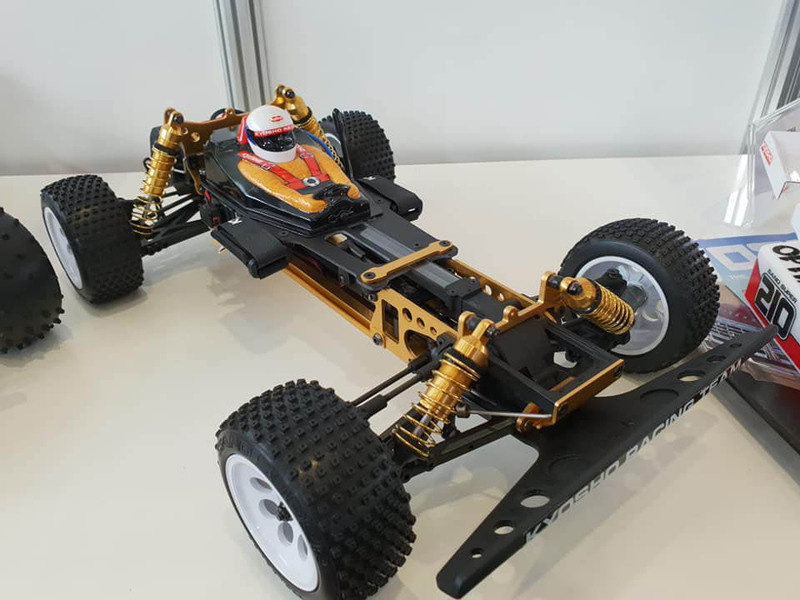 I really wanted the old gold style shocks but the gold chassis is the icing on the cake so I can turn a blind eye to that… As far as tires go I guess we can still at least get aftermarket ones so no problem there either. I will have to buy two of these kits one of the boxes will have to sit by my nib AYK radiant so I can have some serious bling going on in my toy room lol… Any way thanks again for all the great info you always provide! Thanks EK. 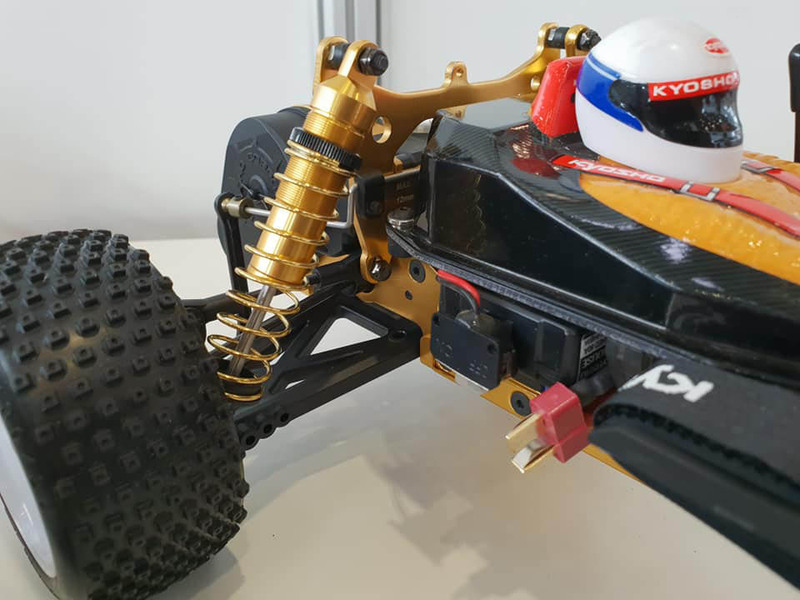 I think these shocks will be very popular for the various vintage races popping up around the world, and not only on Kyosho cars. They could actually be the new “standard” in vintage racing, just like the original golds became the “standard” back in the 80’s. People wanting the original style, could always go for a set of the Mayo or Xtra Speed repros of the original gold shocks, like these fronts and these rears. Personally, I will be using the threaded shocks. The pictures you posted from tamico clearly show a belt, not a chain. I would not have used the chain anyway so it’s just as well. I just wanted to point out that even though the Optima 2016 came with both chain and belt drive options in the kit, the Turbo 2019 only comes with a belt. I am very thankful for this source of information this sure has become 😀 I think the Turbo Scorpion is brilliant and the widetrack and big wheels are changes i would have done anyway but i understand that in a aesthetic way it is wrong. Great to hear Tony. Of course people have different opinions on the various models, and it’s great that you liked the Turbo Scorpion! My “problem” is that I have such fond memories of these cars, as a kid having stared at the catalog pictures until I fell asleep on top of them. I want them to look like I remembered. Even with the updates to the Turbo Optima 2019 I feel the optics are closer to those memories, than with the Turbo Scorp. I think this 2019 version is going to sell like hot cakes as soon as it hits the market. Absolutely can’t wait to get one. modelsport.co.uk has just started taking pre-orders for the initial batch, apparently due end of March. Speaking of the Turbo Scorpion I don’t understand why Kyosho did not offer “standard” size pentastar wheels as an option. I have to use white Tomahawk wheels instead. They were seen on some original Turbos. Wide front is not a problem thanks to Scorpion parts. I want it as a shelf queen, not a racer. Turbo Optima is must have for me, cause I have all the reres. Hoping we will see Ultima soon.